Another photo from the Wheels event of late June, 2013. 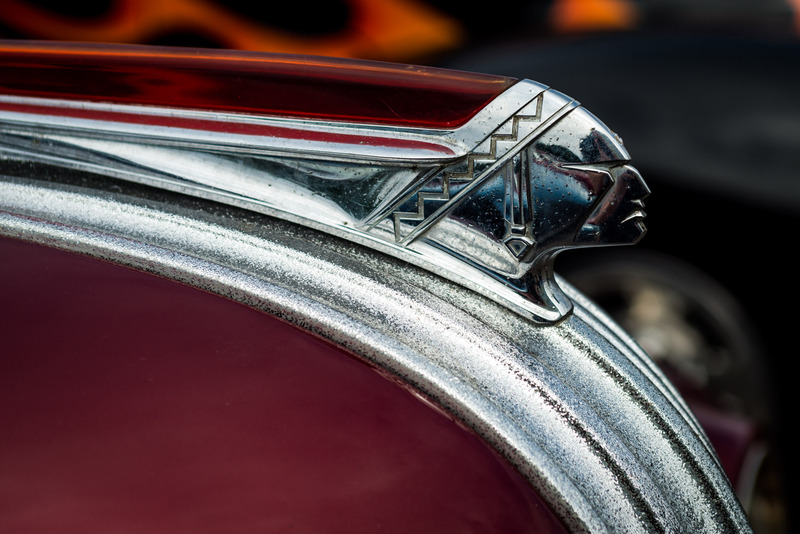 This one featuring Chief Pontiac as an art-deco hood-emblem on an unknown Pontiac, possible from the 30s or 40s. Either way, it’s an interesting shot with my favorite being the tiny details in the chrome of the chiefs facial features.